Size: 1282 sq.ft. - 1756 sq.ft. Siddhachal Elegant is developed by India's second leading real-estate group – Kalpataru Ltd. Siddhachal Elegant is one of the phases of Siddhachal Township. This entire township has housed 8 Phases which is sprawled on 27 Acres of land parcel. The Elegant phase is having multi-storeyed towers stands 14 floors high. The apartments of Elegant are crafted with private terraces for enjoying spectacular views of the Yeoor hills and green spaces. The project is giving two different options to pick at very affordable prices. Siddhachal Elegant offers spacious air-conditioned living spaces of 3 BHK(1902 Sq.ft To 2174 Sq.ft) & 4 BHK(4 BHK: 2646 Sq.ft) homes. 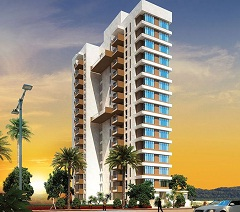 The project is a construction of 4 towers which has occupied the land of 2 acres in the heart of Thane. This meticulously plotted mini phase has 84 units with the specification oflifetime membership of two well-equipped Clubhouses that includes a swimming pool, a rejuvenating spa, state-of-the-art gymnasium and various sports options. 3 Bed homes are available at a reasonable rate of 2.17 Crore and goes upto 2.48 Crore while 4 BHK flats are being sold at 2.17 Crore onwards. The real estate company Kalpataru Ltd was founded in the year 1969. Kalpataru is the leading real-estate development group. The group has focused mainly on commercial, integrated towenships, residential, gated communities and redevelopment projects primarily in Pune & MMR. Kalpataru group is operational in other major cities like Hyderabad, Chennai, Surat, Jaipur etc.. Till date the company has delivered 80+ landmarks and will come up with more exceptional designs. In the MiddelEast(UAE) Kalpataru Group has completed innovative and successful Residential & Commercial properties. It was known as one of the largest civil contracting firms based in United Arab Emirates between the year 1974 and 1982. The Project is well connected to National Highway and Eastern Express Highway. Thane West station is just 10min away from Siddhachal Elegant and it just takes 45mins to reach Domestic Airport from the project. A major business district like BKC and Powai is also in close proximity to Kalpataru Siddhachal. The Spacious flats of the Ready to move Project have lots of modern amenities like Children's Play Area, Landscaped garden, etc. facilitates the needs of home buyers. Thane West is also a well-known location for the residential and business hub. It has a good social infrastructure and schools like Billabong International School, SMT. SulochanadeviSinghania School, etc in the nearby areas. Residents of Kalpataru Siddhachal Elegant will also enjoy the shopping with Viviana Mall, High Street Mall, etc in the close vicinity in Thane. The airport and well-established neighbourhoods like Mulund,Ghatkopar,Chembur and Kurla as well as other major business districts of BKC and Powai are conveniently commutable from Thane. This project is strategically located Near VasantVihar, Pokhran Road No. 2, Thane West. The Elegant is a gatedcomunity fully secured with 24X7 power backup, manned security and water supply, fitness and relaxation zones, 24 Hour Water Supply, Car Parking, Day Care Centre, Multipurpose Hall,a Club House, Meditation Center, Sports Facility, Kids Play Area, Swimming Pool, Gym, Landscape Garden/Park, Open Space, Power Backup, Rain Water Harvesting, 3 Tier Security and many more.